In the wake of the recent signing of the US-China deal on carbon emissions, Russia is once again seen as a global outlier. Given Moscow’s lack of interest in leading the climate battle, statements depicting Russia as the loser in this development appear exaggerated. Yet, in the midst of excitement about the Obama-Xi climate accord, it is easy to forget that 10 years ago Russia surprised the international community by joining the Kyoto Protocol – a binding multilateral climate treaty that committed rich nations (at the time excluding China and India, two of the largest greenhouse gas polluters) to a moderate five percent average reduction in emissions relative to 1990. The Kyoto Protocol is still the world’s only internationally binding agreement to reduce greenhouse gas emissions. On that occasion, it was Gazprom’s new-found interest in the prestige of becoming a ‘great ecological power’ (velikaya ekologicheskaya derzhava) that enticed Russia to endorse the deal. But why exactly did Russia join the Kyoto Protocol in 2004? Many observers speculated on this question: Russia has never championed environmental protection on a global scale. During the lengthy pre-ratification period, most Russian scientists remained ambivalent about the effects of global warming. Meanwhile, Russia’s metallurgic sector has traditionally been among the most energy intensive in the world. Until recently, the practice of flaring natural gas was not seen as a worrisome practice. Russia has never championed environmental protection on a global scale. In the early 2000s, both opponents and supporters of the Kyoto Protocol tended to view the commitment through the lens of the Russian economy and the country’s national priorities. Ahead of the deal, two contrasting forces prevailed. Russia faced enormous challenges in terms of reviving its economy. It therefore supported the argument advanced by other big emitters and transition economies like China, Brazil, and India. These countries argued that they still hoped to achieve the kind of economic development the West had been enjoying for decades. Thus, they were unwilling to support any climate deal that would hamper the attainment of that goal. In contrast, Russia did not want to lose the opportunity to add to its reputation as a rising power on the world stage. Torn between the ‘developing country’ and the ‘great power’ narrative, Russia’s ratification went through a long domestic struggle before the final decision was made. Considering this domestic bargaining and the country’s traditional low regard for environmental issues, unpacking the incentives behind Russia’s ratification of the Kyoto protocol becomes all the more interesting. Initially, many business groups opposed the treaty on the grounds that it would hamper the growth of Russia’s economy. 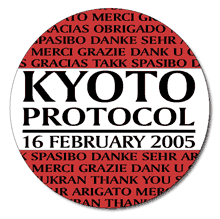 Certain academics even questioned the scientific foundations of the Kyoto Protocol altogether. On the other side of the spectrum, an eminent scientist, Nikolai Klyuev, from the Geographical Institute at the Russian Academy of Sciences, introduced the idea of Russia as a ‘great ecological power’. In line with Russia’s self-identification as a Great Power, and President Putin’s strengthened national-patriotic ideology, the country welcomed the opportunity to boost its image as a great ecological nation. However, in 2002, following the disappointment over the US withdrawal, Putin’s hesitance became protracted. For Putin, the question of ratification had always been political rather than environmental. In other words, the decision was guided by the ‘relative gains’, which Kyoto could provide. Subsequent to the US rejection of the treaty, Russia’s economic interests in the Kyoto Protocol decreased substantially, as it was left without a major buyer for its emissions surplus. Moreover, some observers pointed out that if even a rich country like the US was worried about the treaty’s economic impact, a country such as Russia could ill afford it. Putin’s economic policy adviser, Andrei Illarionov, was the most vocal among the critics. Yet, comparing Russia and the United States was misleading – the two countries were in diametrically opposed positions. If the US had moved to ratify, the US would have been obliged to take action to cut emissions, while Russia would actually have gained through ratification due to sales of its surplus allowances. Be that as it may, after the US withdrawal, the EU undertook to save the protocol by successfully rounding up enough signatories for the protocol to enter into force in February 2005. Crucial to this was the EU’s diplomatic effort with Russia. With the US’s refusal to join the treaty, only Russia carried the weight to carry the treaty across the 55 % hurdle, that is, the combined percentage of the industrialised world’s greenhouse gas emissions. By 2003, the industrialised states that had ratified the Kyoto Protocol represented 44 % of these emissions. Russia, if it also ratified the protocol, would add a further (critical) 17 % to this figure. The decisive role of Russia in the enforcement of global climate policy gave it political leverage. In fact, to secure Russia’s participation, the country was given more sink allowances, which effectively relaxed the emissions constraints previously negotiated in Kyoto. The huge amount of pollution credits that Russia won under the Kyoto’s emission trading system was the decisive concession, which made Russia respond to the EU’s campaign of persuasion. Many observers speculated that Russia’s ratification of the protocol was a quid pro quo for the EU’s support for its application to join the World Trade Organisation (WTO). Besides the economic incentives, other contributing factors included the political opportunity to boost Russia’s status while leaving the Bush administration increasingly isolated internationally on climate change issues. While these incentives could have played a role, they pale in comparison to the key incentive: economic gains offered in Gazprom’s favour. 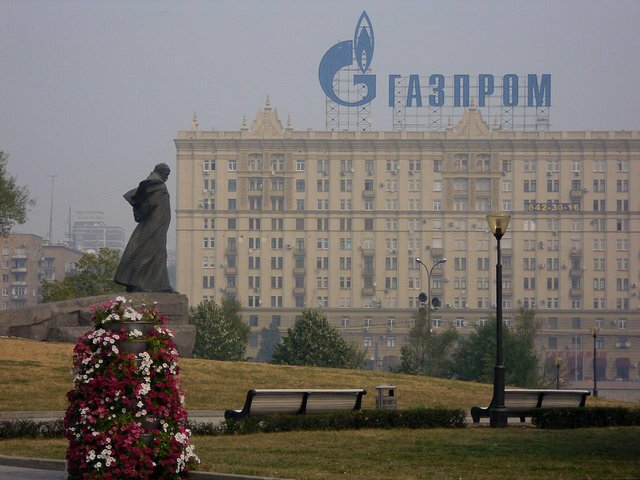 Gazprom’s support came from the realisation of the enormous profits it could gain from selling unused emission credits, and investing these revenues in clean technologies for the ‘greening’ of Russia’s economy. Though WTO accession loomed in the background, the decision to join Kyoto had much more to do with the direct economic benefits Russia could extract from the treaty than with considerations regarding WTO membership. Climate policy experts estimated that Russia benefited from the protocol by roughly 10 billion dollars annually through emission trading, joint investment projects, and increased foreign investments. The protocol set a zero reduction target for Russia, meaning that Russian emissions could not exceed the level of 1990 between 2008 and 2012, the first commitment period of the agreement. Climate policy experts estimated that Russia benefited from the protocol by roughly 10 billion dollars annually. Indeed, Russia could actually increase emissions, or sell its excess emission allowances to other states within the protocol without violating the agreement. In 2003, the otherwise sceptical Russian corporate sector began to express interest in the ‘capitalisation’ of climatic benefits. Alongside other energy companies, Gazprom adopted this line of argument. Not by chance, by mid-2004,the single most insistent lobbyist in favour of the agreement was Gazprom. Gazprom gained from Kyoto for a number of reasons. Firstly, the company saw the so-called Joint Implementation (JI) projects as a cheap way of rehabilitating the company through foreign investments. In 2006, one of Gazprom’s first pilot energy-savings projects was implemented in cooperation with the German company Ruhrgas AG for the optimisation of gas pipelines and the reduction of fuel gas waste. Secondly, the industry knew that it could make profits from carbon trading due to Russia's generous emissions targets, especially with the help of improvements in energy efficiency from JI investment. Since Russia’s energy sector is notoriously carbon intensive, it had vast potential for energy-saving improvements. Thirdly, Gazprom looked forward to an increase in sales of natural gas that, as an environmentally-friendly fuel, would be in high demand from other European Kyoto signatories. 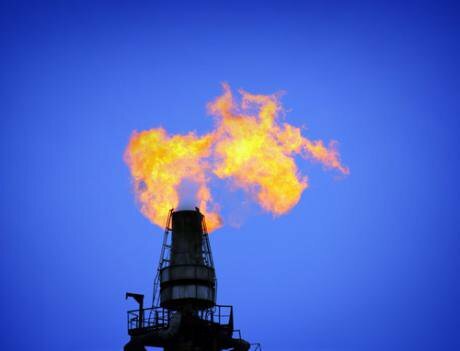 An EU study estimated that the initialisation of the EU Emissions Trading System alone could boost European demand for natural gas by as much as 6% in the period 2008–2012, since fuel switching is one of the cheaper short-term options for industrial enterprises to meet their CO2 emission caps. As witnessed by the EU’s present day de-carbonisation policy, the centre-piece of which is natural gas, these expectations have proven correct. Gazprom also had reputational incentives to support the climate regime: on its website, Gazprom listed a range of energy-saving measures, including the optimisation of transmission system gas flow, the replacement of gas compressor units, and the implementation of automated control systems, all of which had the goal of simultaneously improving its image and attracting foreign investment. Although technically controlled by the state, Gazprom’s influence inside the Presidential Administration has always been considerable. In fact, one of the priorities of the government is to assure the outside world that Gazprom conducts its business effectively, a necessity given the extraordinary amount of rents it provides for the state. Among the insiders, Dmitry Medvedev (at the time Chairman of Gazprom’s Board of Directors) was also Vladimir Putin’s Chief of Staff, and thus a particularly influential figure. Russia’s flirtation with Kyoto may have been the consequence of Medvedev’s policy priorities, which in turn were closely related to Gazprom’s economic incentives. As soon as Medvedev became president in 2008, he signed a decree increasing energy efficiency. Yet, the main instrument for achieving this goal of reduced energy usage in the economy would be the gradual increase of regulated domestic prices on gas, a scheme that, once again, suited the interests of Gazprom far more than it promoted energy-saving technologies. As with many other Medvedev initiatives, the action plan remained on the level of political fanfare. Moreover, in May 2009, Russia officially adopted a Climate Doctrine, which committed the country to eradicating the sources of climate change in its ‘own way’. Initially, it was hoped that Medvedev’s energy-efficiency plan would offer real potential for reducing greenhouse gases. Yet, as with many other Medvedev initiatives, the action plan remained on the level of political fanfare rather than a practical policy document. At the time of writing, the Climate Doctrine has no legal standing and has not provided any concrete measures to mitigate climate change. In sum, Russia expected its carbon emissions by 2008 to decrease by 20% from 1990 levels. In 2010, the country’s carbon emissions stood at 34.2 % below their 1990 level – a notable track record. However, these reductions had not been the outcome of focused policies to cut emissions. The decrease in emissions was principally due to the economic decline that followed Russia’s transition to a market economy after the collapse of the Soviet system. The economic downturn shuttered factories, shrunk agriculture, and the re-growth of forests sequestered more carbon. But the same card cannot be played in perpetuity. After Russia joined the WTO in 2012, there were no further incentives that would keep it on board. In fact, as of 2011, Russia gave notice it would not enter into the second commitment period of the Kyoto Protocol. Moscow’s preference, shared by Japan and Canada, is for a new global agreement that obliges all major emitters to participate, meaning that today the Kyoto protocol covers no more than 16% of global emissions. The success of the US-China declaration on climate, raises hopes for the upcoming Paris climate talks, but it also demonstrates two important points. Firstly, the Chinese Communist Party has staked its legitimacy and political survival on raising the environmental standards of average Chinese. Secondly, Obama is taking great pains to restore his fortunes and reinvigorate his presidency; and climate policy is one aspect. Most recently, at the UN’s latest round of climate talks in Lima, Russia surprised many observers by strongly supporting the draft for a new global deal, to be signed in Paris, in a year. Putting rhetoric to one side, Russia has continued with negotiations as is usual by choosing to remain isolated, and letting the US, China, and India take the lion’s share of the blame for the current lack of progress. But now, with China finally ready to work on climate change, India has become the single-biggest wild card ahead of the Paris talks in December 2015. At present, India has adopted an intransigent position on further emission reductions. But if climate negotiators want a truly global agreement, they will have to bring India on board. In this constellation, there is some room for Russian redemption. A decade after talking about becoming a ‘great ecological power’, the country has shown very little agency in the climate battle and has left the international climate community generally unimpressed. However, if Russia’s declared plan to cut emissions is genuine, the country could restore its international standing by attracting followers in the BRICS, especially by enticing India, which Putin has been courting since the escalation of geopolitical tensions with the West. Undoubtedly, Putin’s new-found relationship with Narendra Modi is strongly related to Russia’s power struggle over Ukraine. Despite this underlying geopolitical motivation, if cosy relations between Russia and India result in a change of New Delhi’s stance on climate change, Moscow will regain some legitimacy in the climate battle, and perhaps find that it has given the world some hope in this fractious period of renewed tension.